Offering more features than many of its competitors, the 2017 Acura RDX in Arlington is a prime pick in its segment. For the new model year, the luxury SUV offers a few new interior and exterior color options, but is mostly carried over from 2016. Lunar Silver Metallic and Modern Steel Metallic join the exterior paint palette for 2017, while the Ebony interior is now offered with the White Diamond Pearl exterior. Standard with front-wheel drive and available with all-wheel drive, the 2017 RDX is offered in one trim, but offers three different packages: AcuraWatch Plus, Technology and Advance. 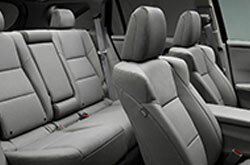 Spacious and comfortable are two words that come to mind when thinking about the RDX's cabin. 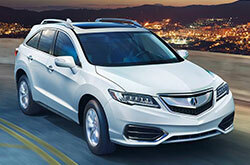 Many 2016 Acura RDX reviews have also noted this, complimenting the SUV's supportive front seats, roomy backseat and available 61.3 cubic feet of cargo space with the rear seats folded down. Technology-wise, the 2017 Acura RDX in Arlington features a rearview camera, keyless ignition, a power liftgate, a sunroof, dual-zone automatic climate control, heated front seats, Bluetooth connectivity, an auto-dimming mirror and Pandora radio. 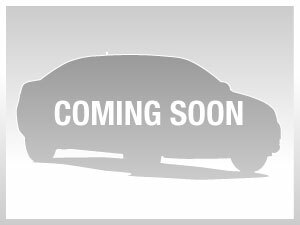 Additional amenities, including rear parking sensors, automatic wipers and HD radio, can be obtained with one of the aforementioned package options. A 3.5L V6 engine, generating 279 horsepower and 252 lb.-ft. of torque, is the only engine available with the 2017 Acura RDX. It's matched with a six-speed automatic transmission and can push the RDX from 0 to 60 mpg in 6.5 seconds when paired with all-wheel drive. 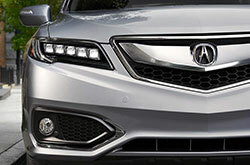 Front-wheel drive models of the RDX deliver an EPA-estimated 23 mpg combined, 20 city and 28 highway, while all-wheel drive models produce 22 mpg combined, 19 city and 27 highway. 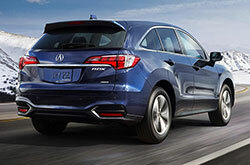 On the RDX, you'll find standard antilock brakes, traction control and airbags, to name a few. Other available safety options include forward collision mitigation with automatic braking, lane departure warning and blind spot monitoring. Each of these systems helps assist drivers while on the road and works to prevent avoidable accidents, keeping your family secure. Don't settle for the 2017 Infiniti QX30, Cadillac SRX, Audi Q5, Volvo XC60 and the BMW X3 when searching for new vehicle models; visit Vandergriff Acura to view the beloved 2017 Acura RDX in the Dallas metro area. 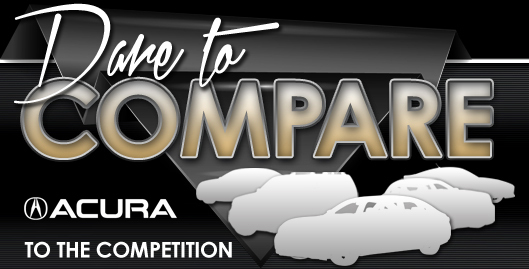 You may find that it is a superb match for you, with its eye-catching design and five-star incar technologies. Take advantage of the materials included in our review to see if 2017 Acura RDX works for you; and afterward, take a look at limited-time dealership incentives offered at Vandergriff Acura. 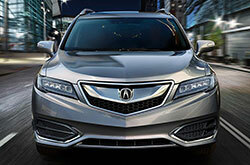 Visit us pronto if you're looking for a neighborhood Acura RDX dealer with offers you won't want to overlook. When buying a car, it's essential to make a discerning choice; that's why we've included this 2017 Acura RDX review an ideal fit on our site. Stop by to be pleased with a test drive at Vandergriff Acura, where you can experience the Acura RDX upfront. Can't wait to see its modern interior features in person? Watch our video walk-around now!